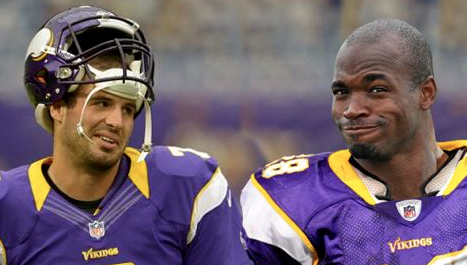 Adrian Peterson just chewed Christian Ponder up and spit him out with this one true quote. Teddy Bridgewater’s continued development as the quarterback of the Minnesota Vikings is the one reason they’ll contend for a playoff spot, while saving Adrian Peterson some years on his career. The Vikings star running back told the Minnesota media that Christian Ponder might still be with the team if he had Bridgewater’s mental makeup. Ponder had plenty of opportunities with the Vikings, going 18-29-1 as a starter, and never firmly entrenching himself as the franchise signal caller some had hoped for.